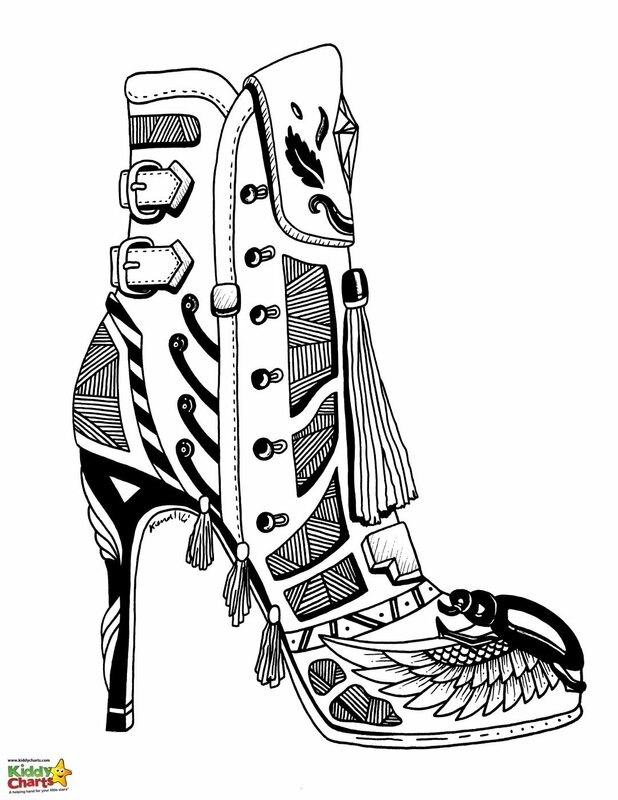 Today we are sharing a couple of gorgeous high heel shoe colouring pages for adults and kids to get stuck in to, This is part of other parent and child series of coloring pages, that are there to help you chill out with your kids. You can give them the slightly easier version of the coloring, while you get stuck in to the one that is just that little bit harder. Alternatively, if they like a challenge, why not give them the harder one to have a bash at! We think that you’ll agree that this coloring page has a bit of a 70s vibe going on? Perfect for transporting you back to the age of flares, big hair and disco boogie! It rather reminds me of Abba, and almost makes one want to break into singing “Dancing Queen”! A great way to relax, and get a bit closer to your kids; coloring in while belting out an Abba classic! Another 70s feeling with this high heel shoe too – a platform frenzy for any 70s chicks, and dudes out there! These are two designs from Kenals World, so if you would like to see what other coloring pages Kenal has; please do pop along to his website to take a look at them. He has some really interesting ideas for adults in particular. Collection of adult coloring pages to chill out with; time to get mindful! Some seaside and jungle theme coloring pages for kids and adults; also in the same collection on the site. 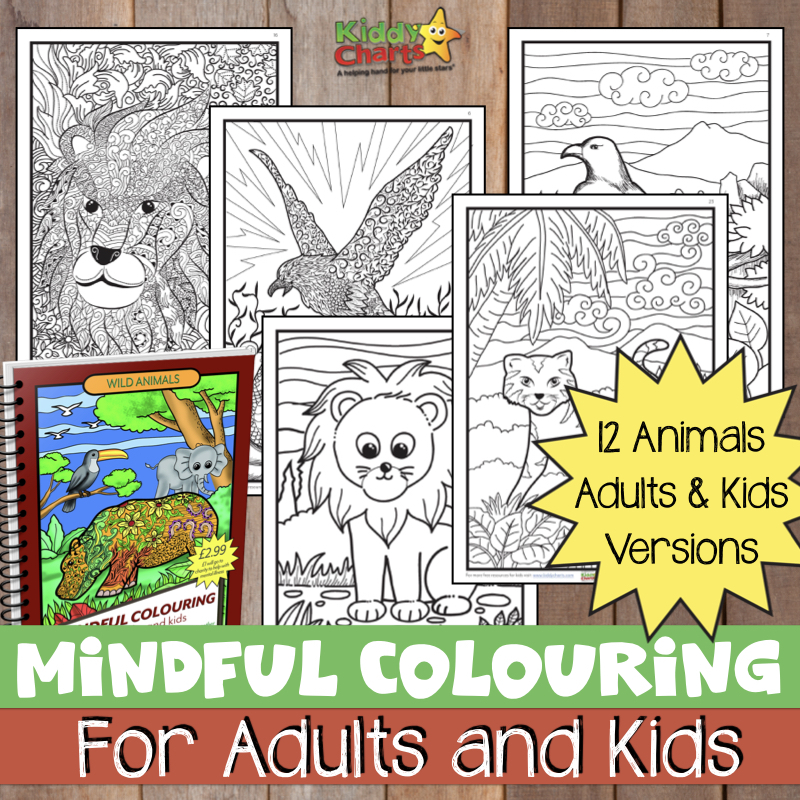 We do have some excellent resources for adults and kids to color on the site, so explore everything here as well as popping along to Kenal’s World. I am sure you will find something that works for you! If you like this, then do take the time to subscribe to our KiddyCharts newsletter as well, so you don’t miss out on the freebies that we have quite regularly on the site. We love to share free printables, as well as a few great competitions, giveaways, tips articles, and kids’ reviews. Thanks so much for taking the time to read this, and see you next time! Oh – and why not pop along to us on Pinterest as well and see what we share over there. Why not join over 500,000 other people that do!